Yes, I’m on vacation and still acclimating to time zones. I’m also blogging via my phone, which seems apropo and trying to capture the interesting stuff. 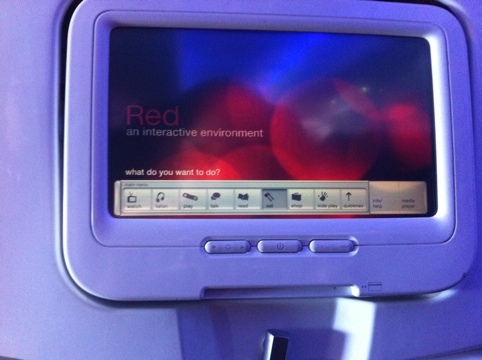 My first experience of Virgin America was great (and it didn’t hurt – okay, bad joke). I can see why people love flying VA!! Red: An Interactive Experience really did engage me. Why? I believe it was due to the humorous caricatures going through the in-flight instructions to the multitude of games. Essentially, the flyer has a choice when it comes to food, entertainment, or even partaking in social metworking via seat-to-seat chat functionality. Posted in Multi Media, Social Networking and tagged as postaday2011, technology, travel.